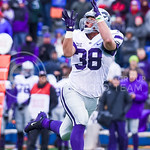 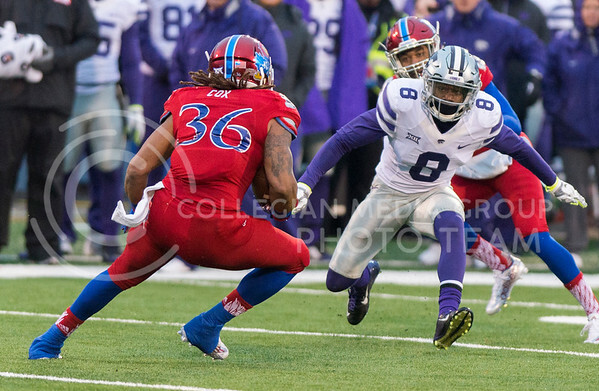 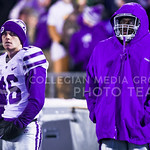 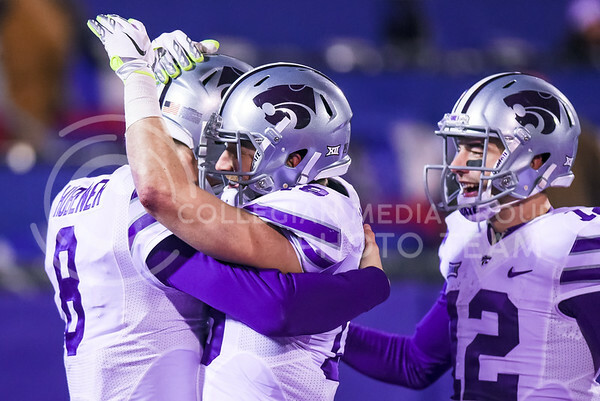 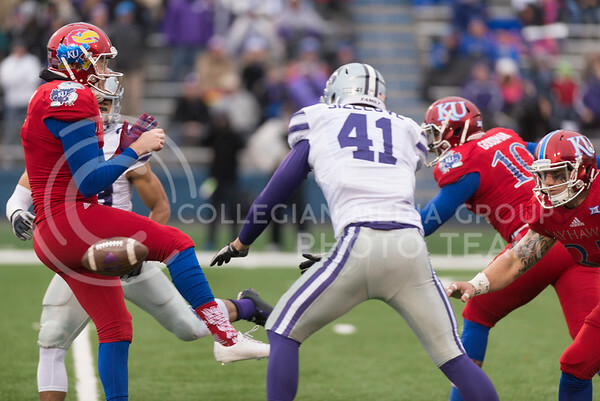 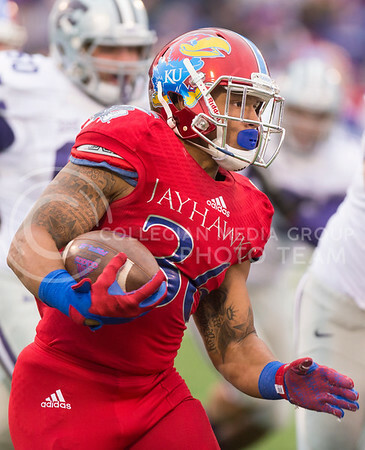 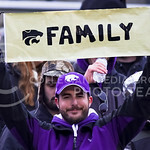 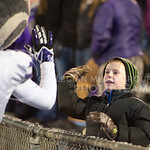 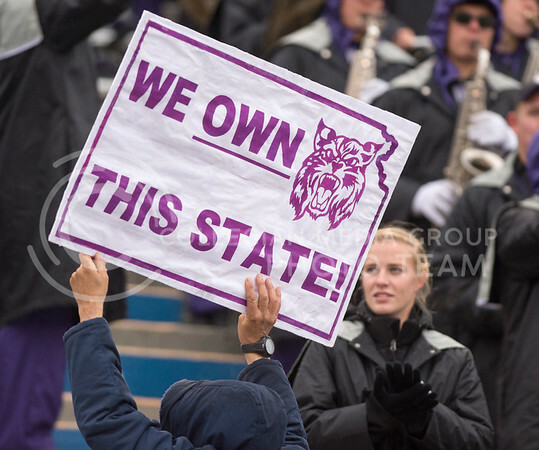 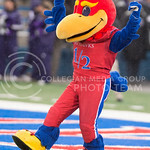 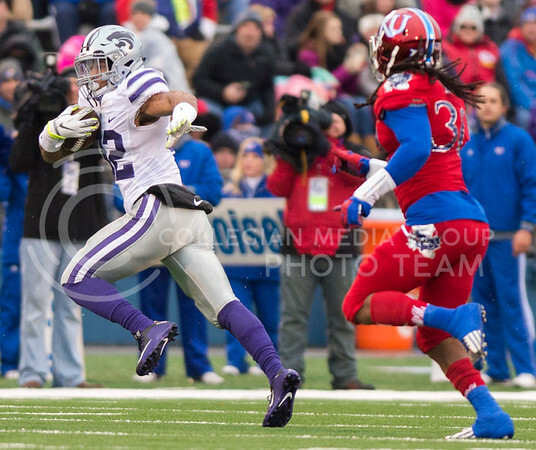 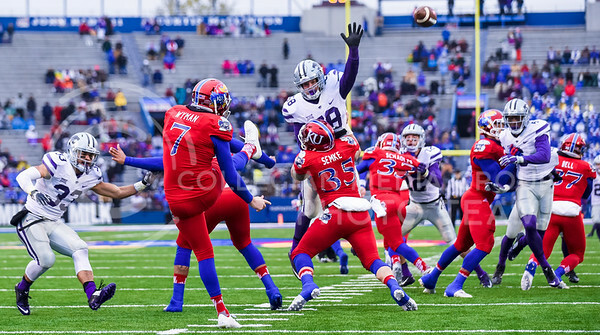 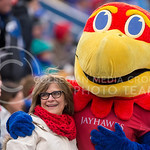 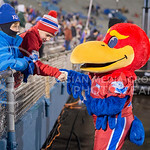 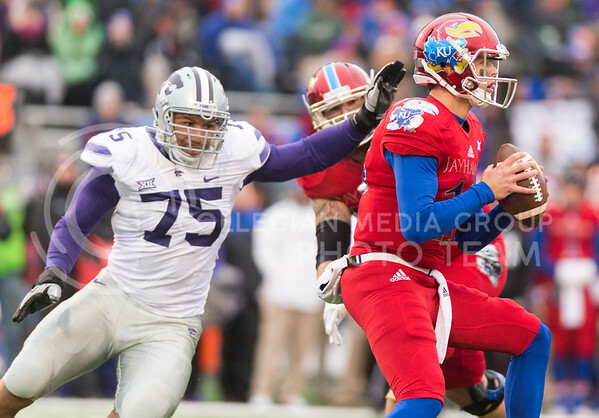 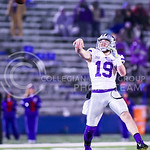 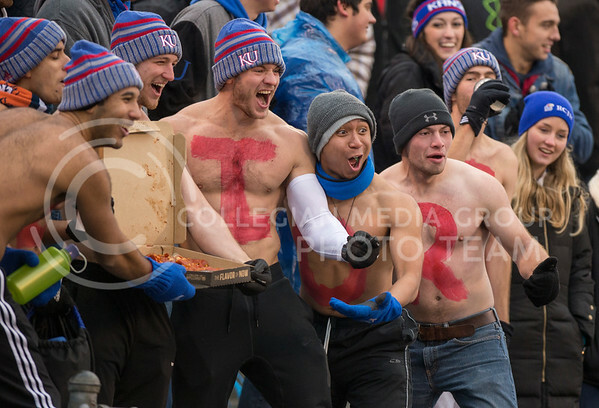 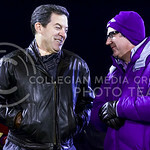 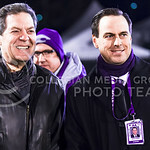 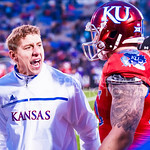 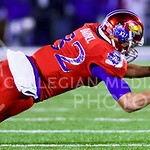 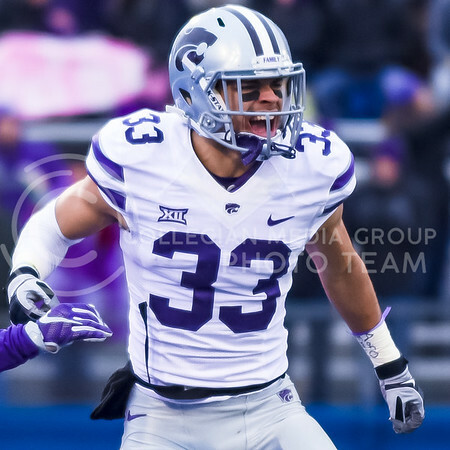 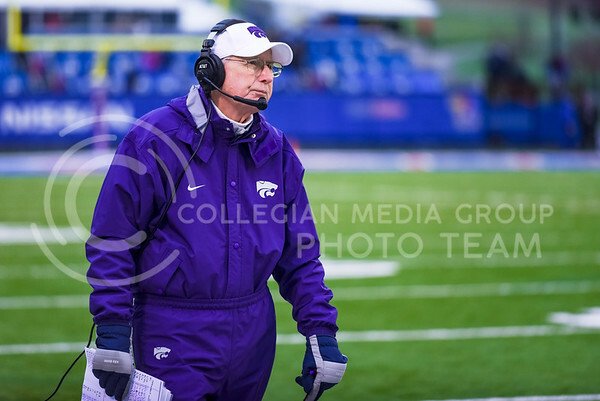 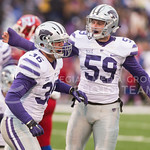 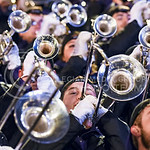 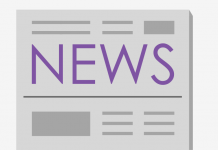 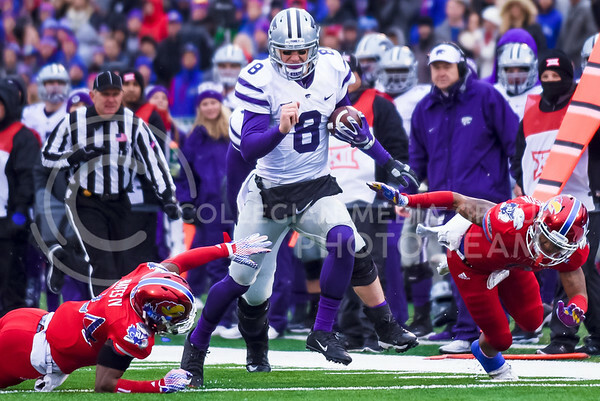 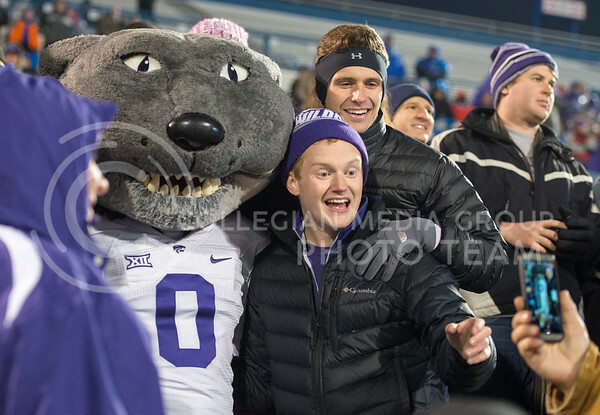 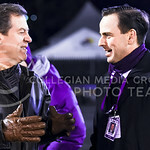 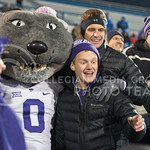 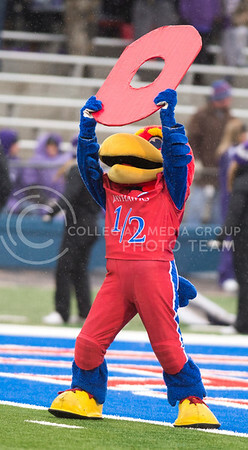 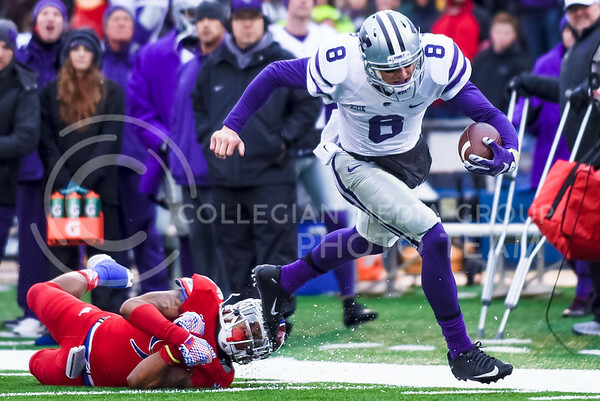 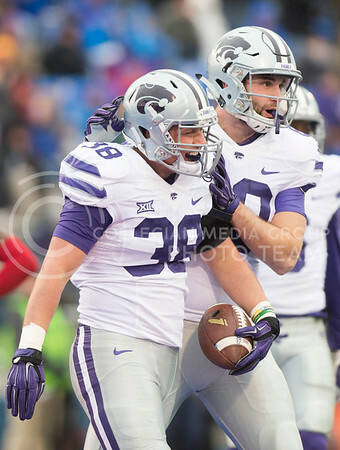 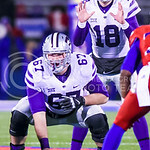 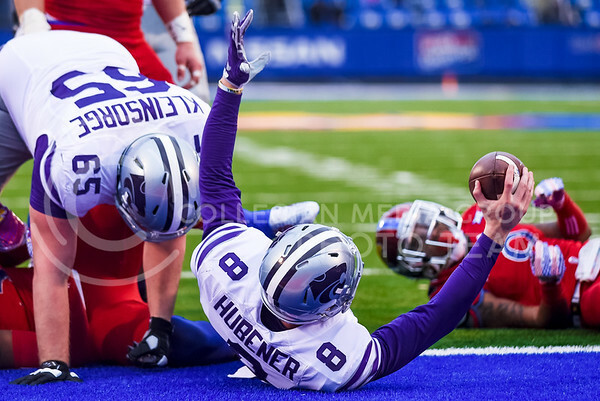 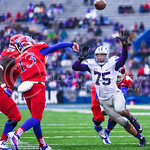 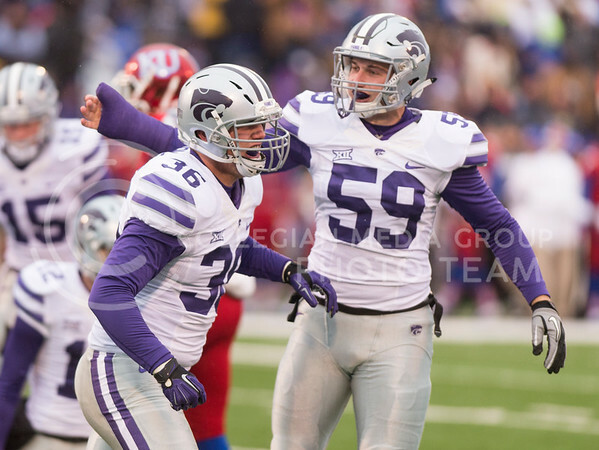 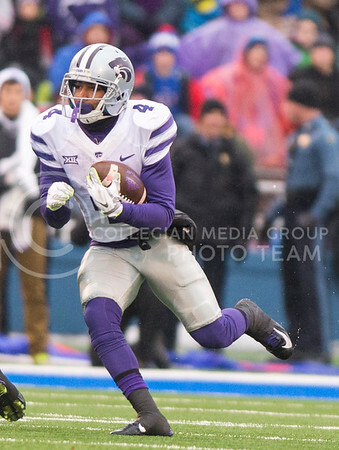 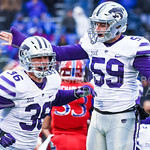 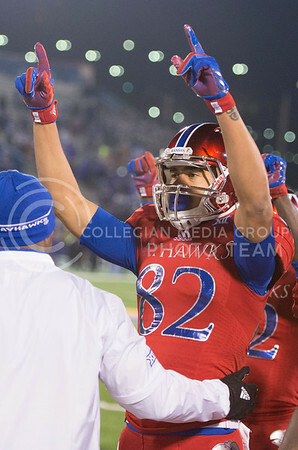 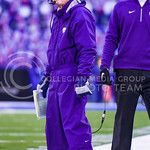 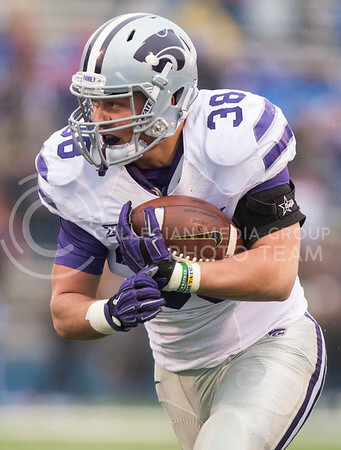 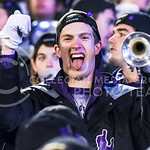 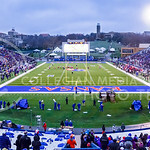 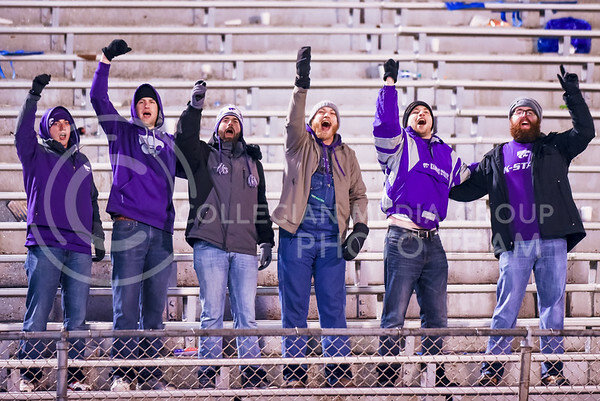 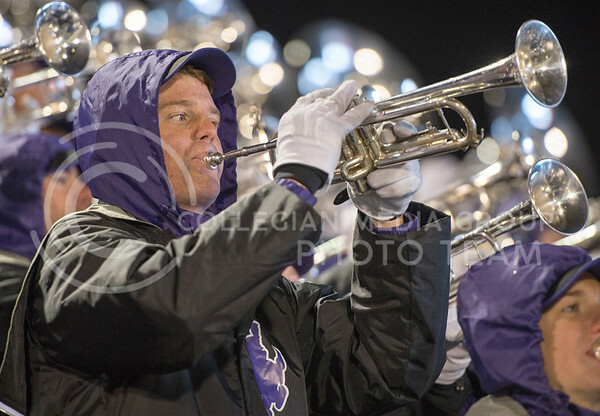 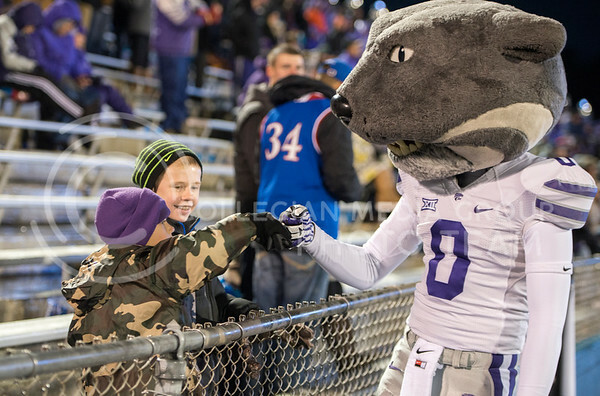 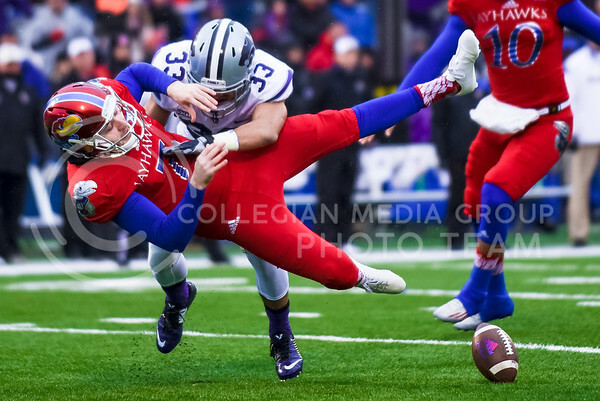 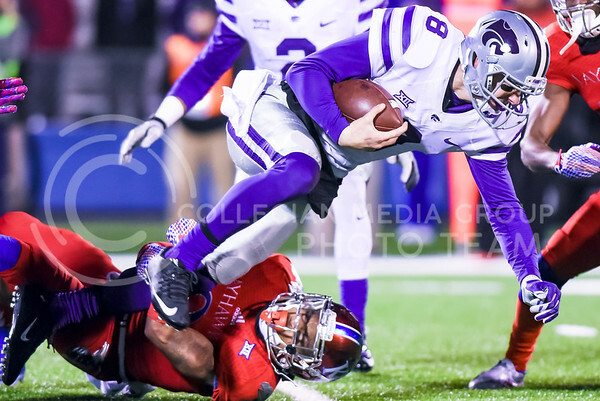 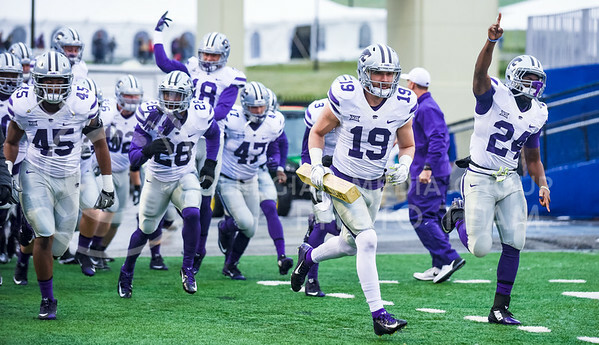 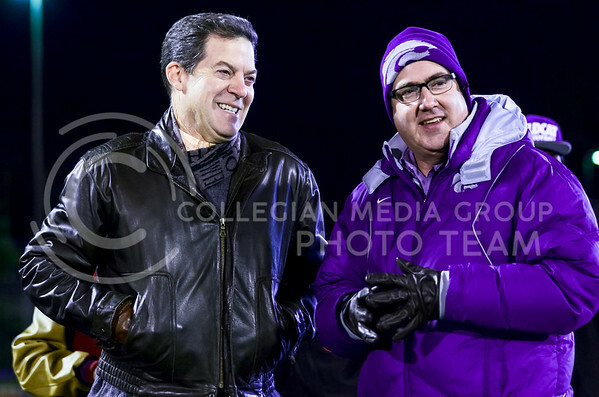 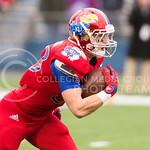 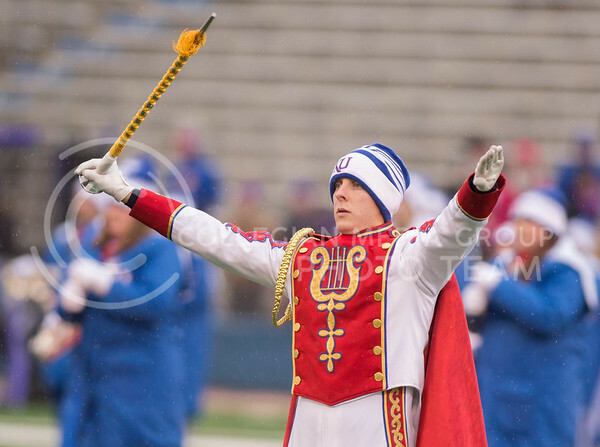 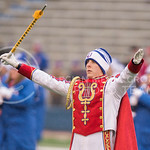 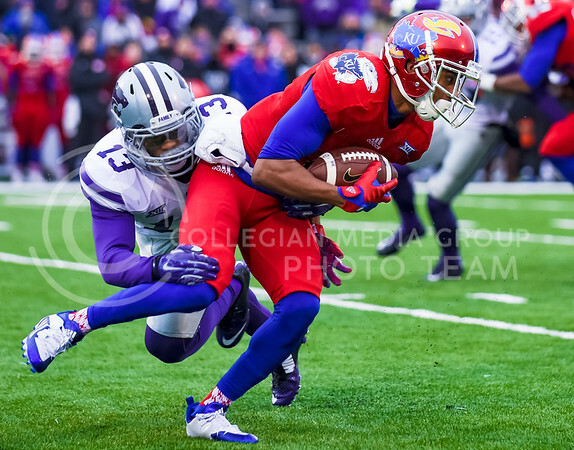 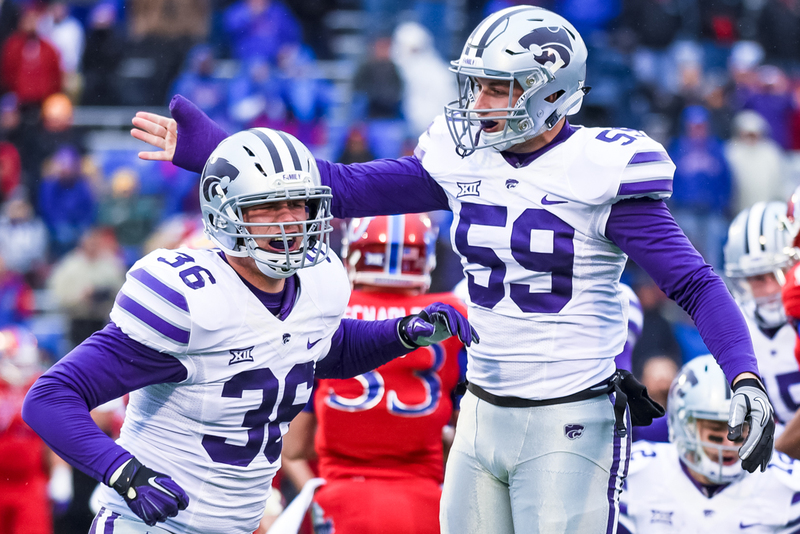 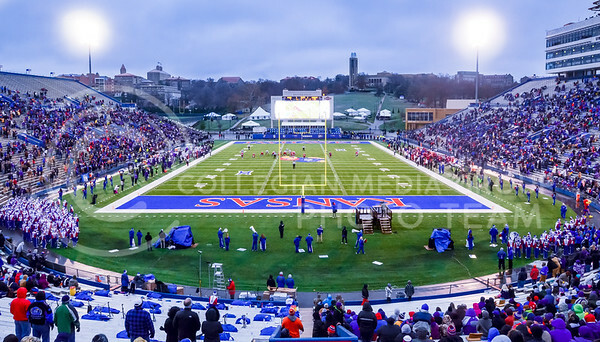 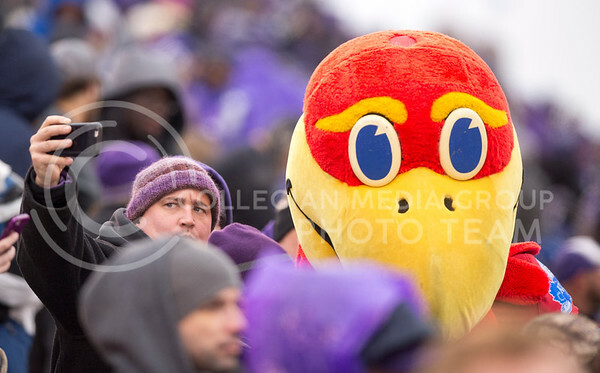 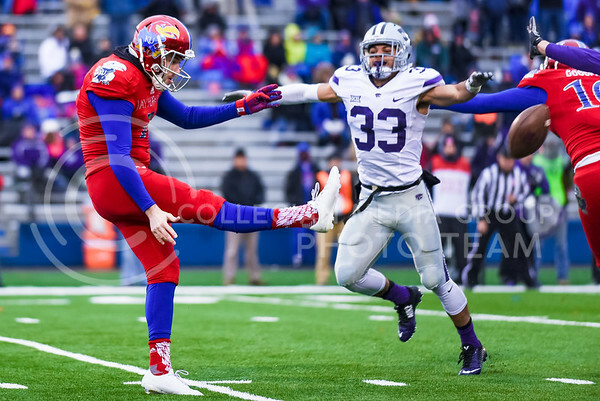 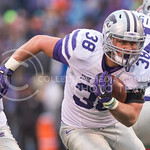 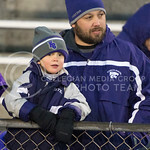 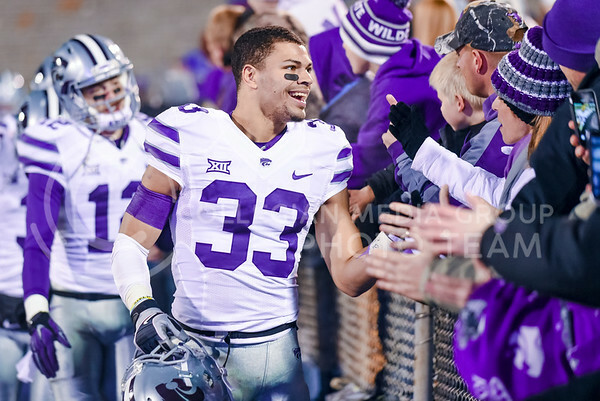 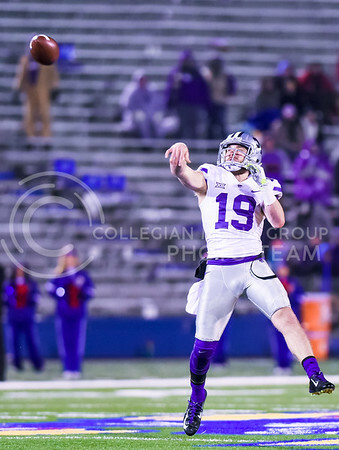 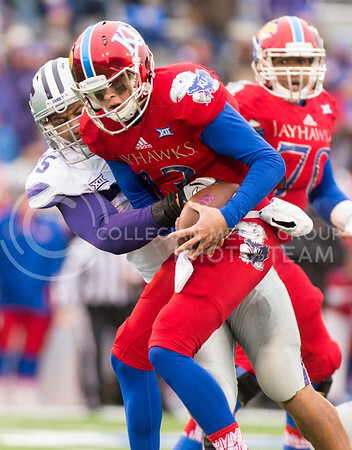 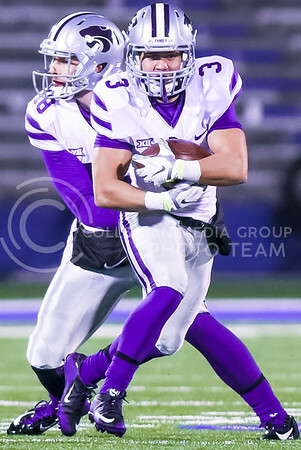 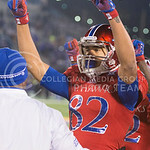 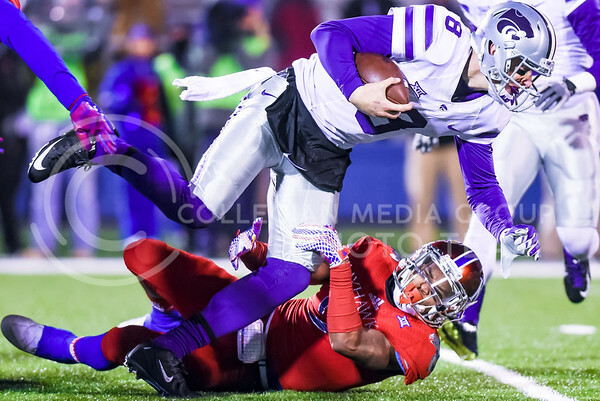 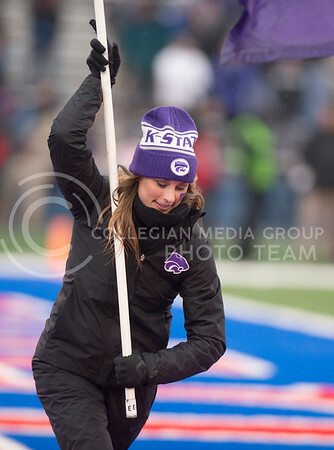 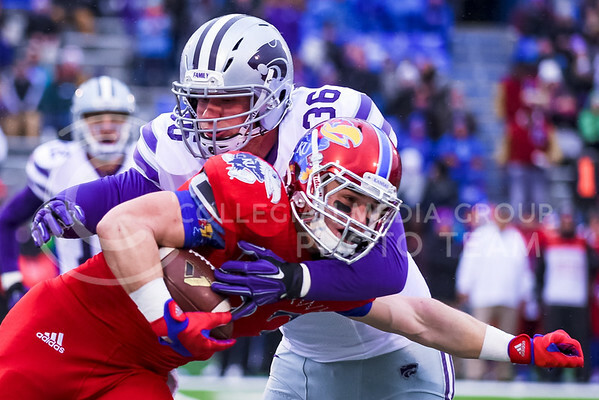 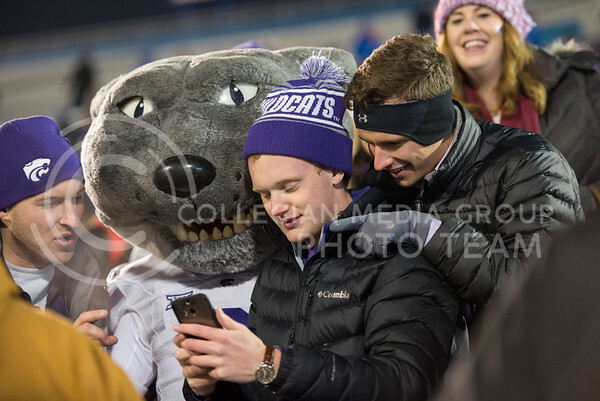 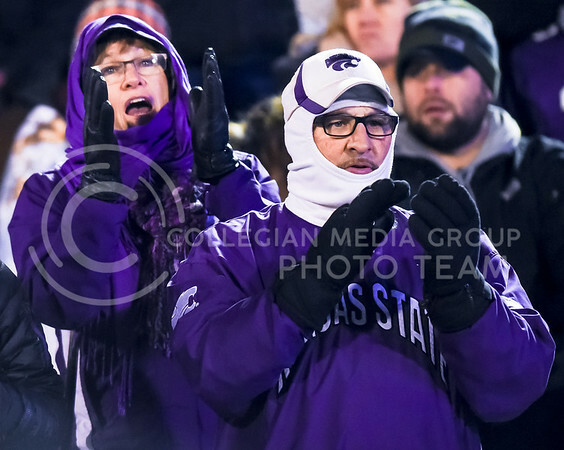 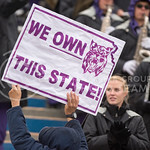 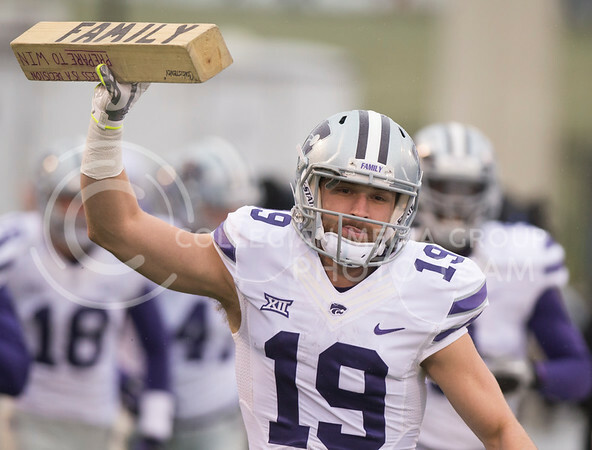 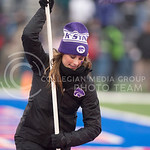 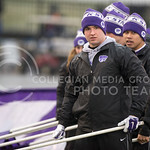 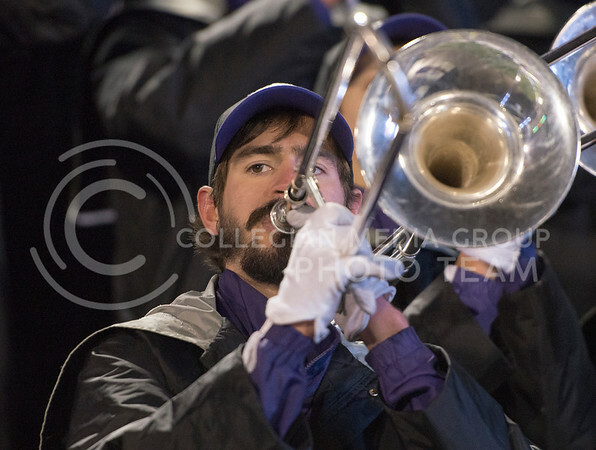 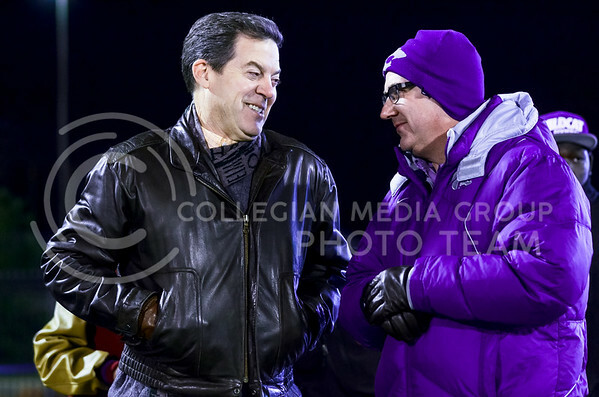 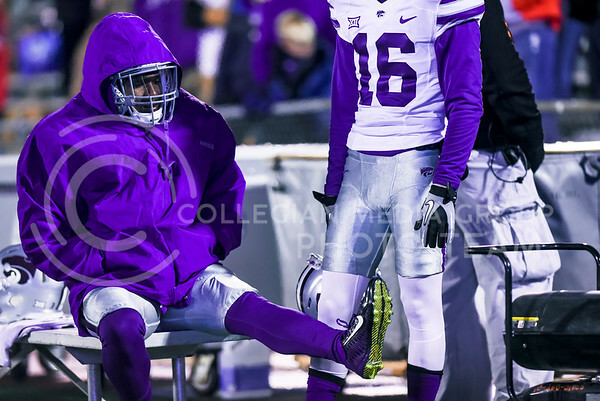 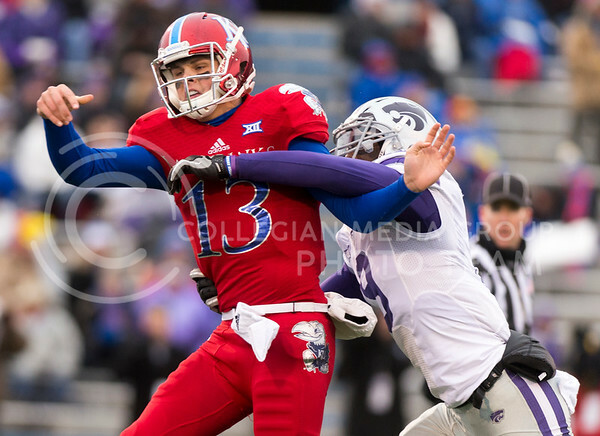 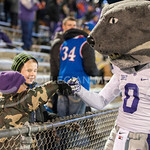 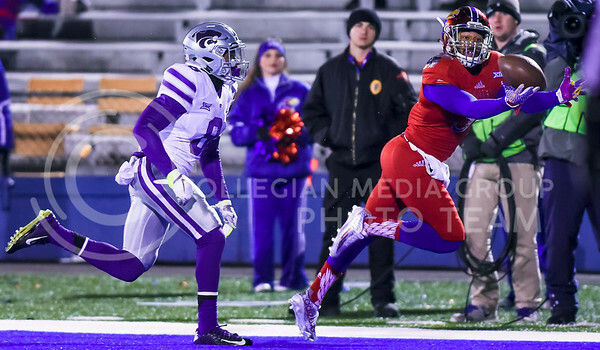 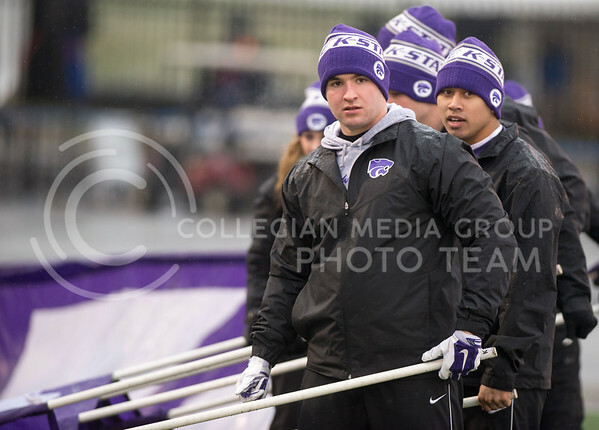 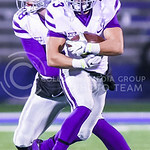 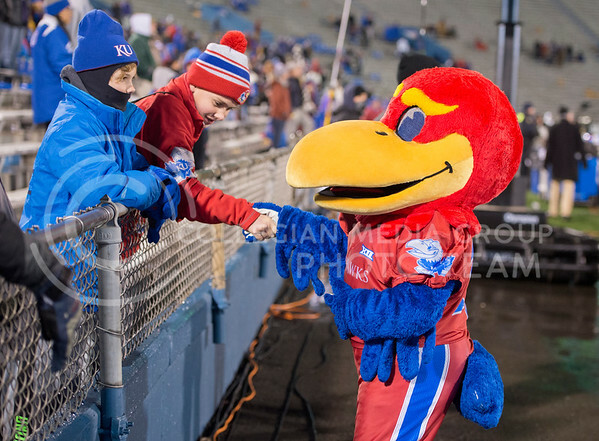 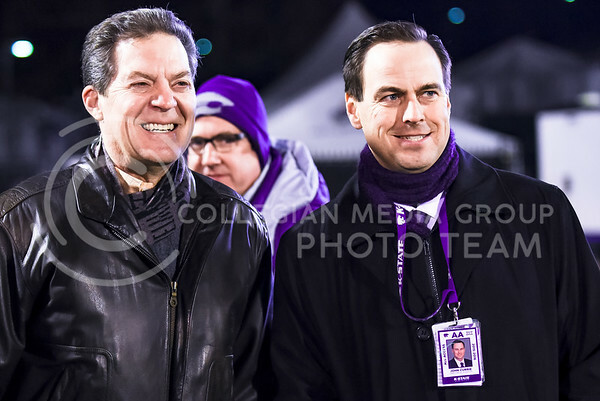 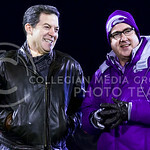 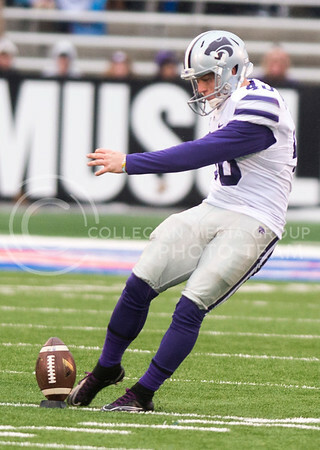 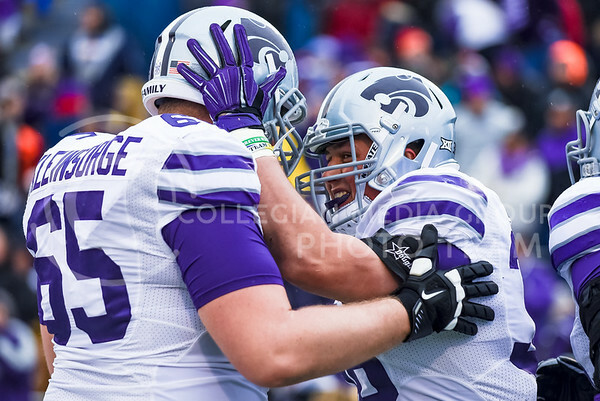 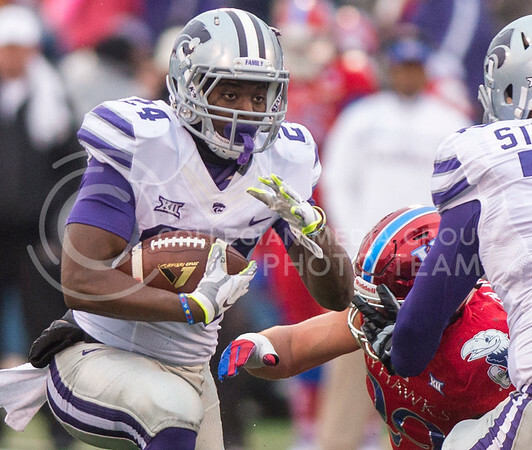 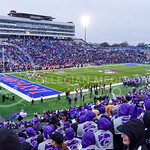 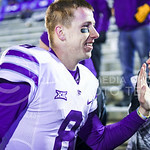 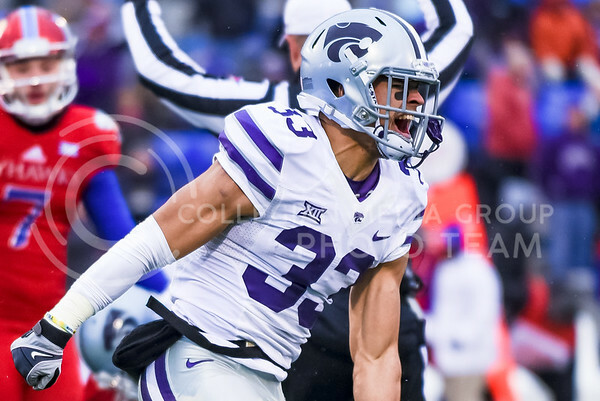 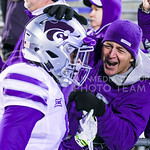 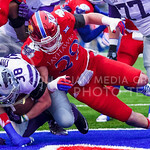 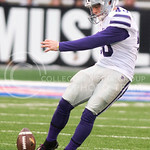 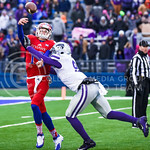 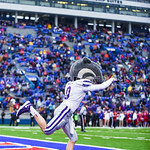 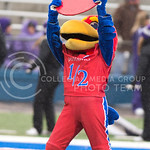 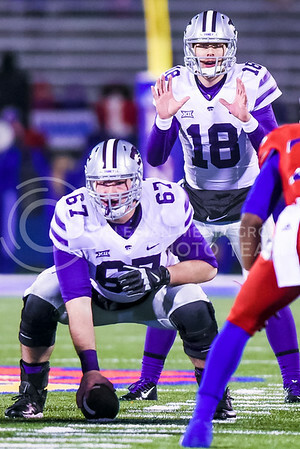 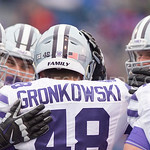 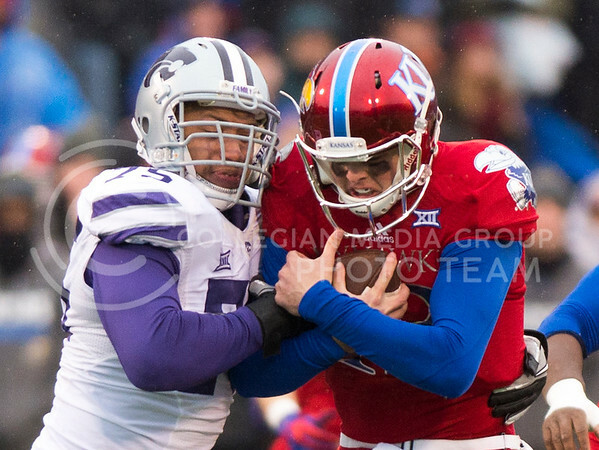 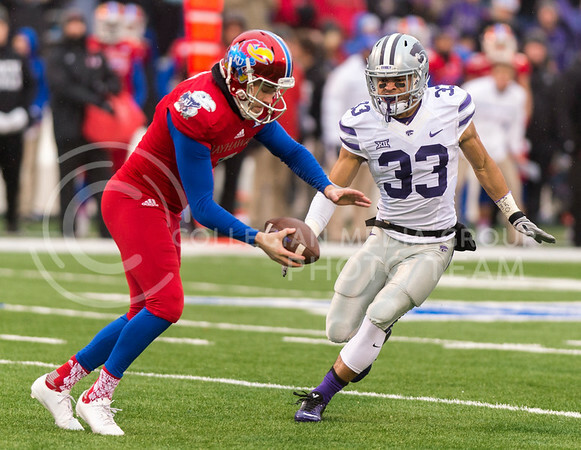 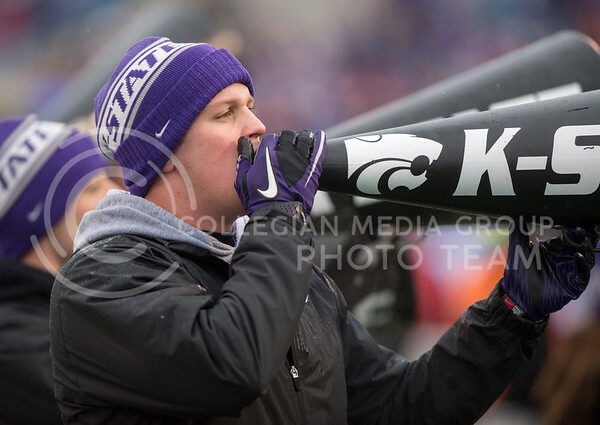 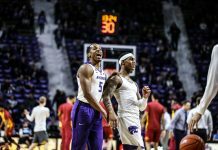 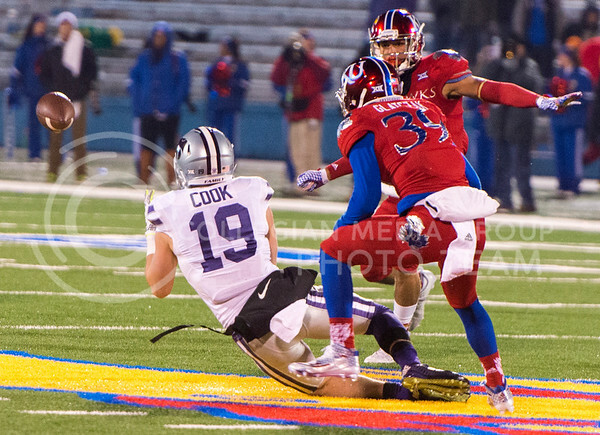 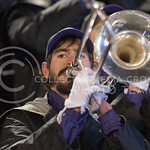 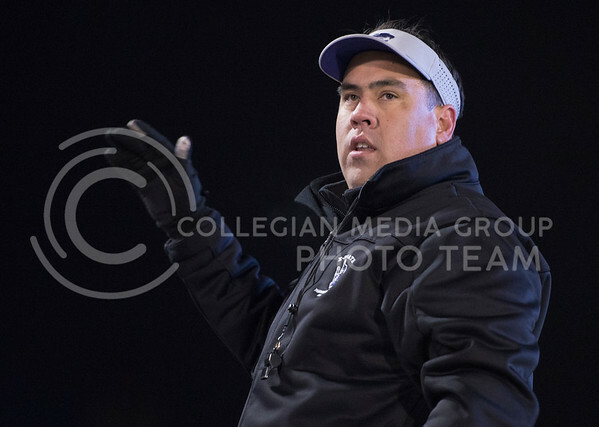 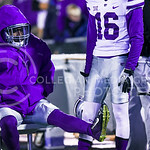 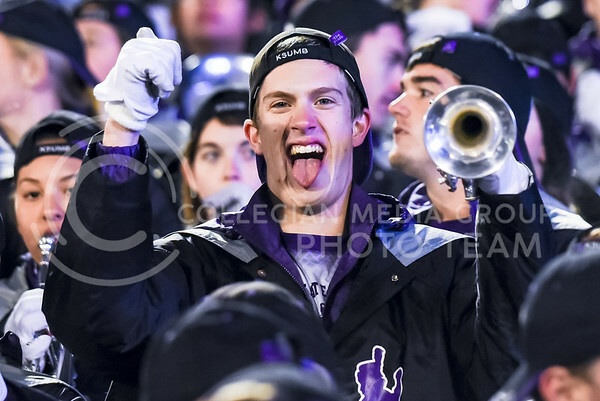 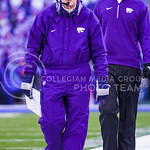 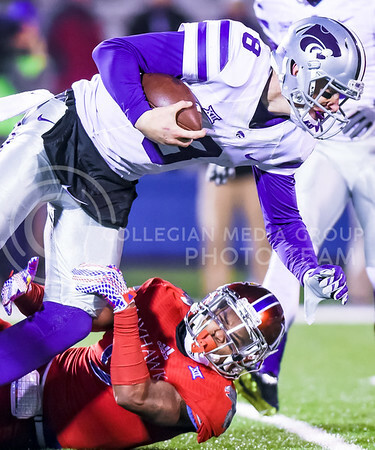 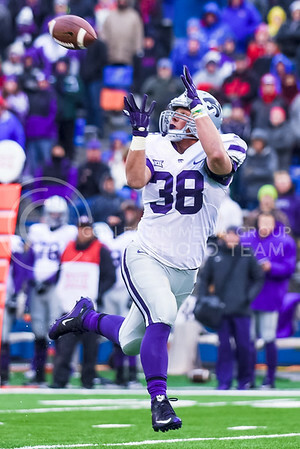 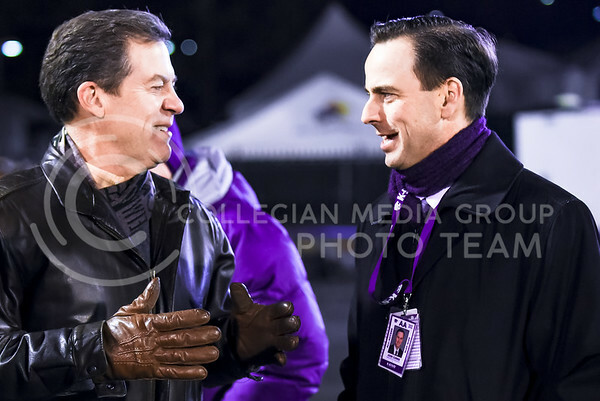 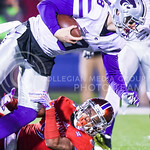 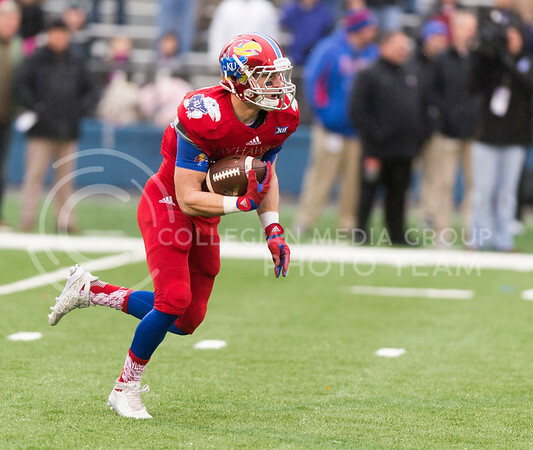 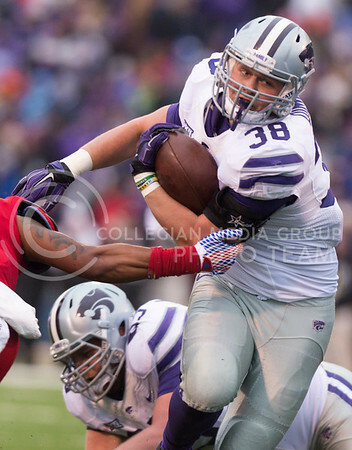 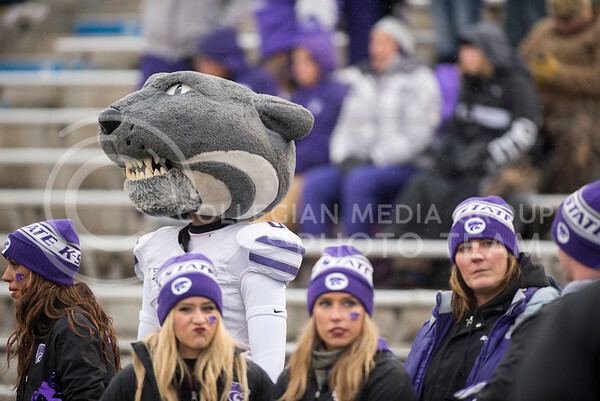 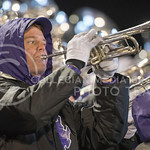 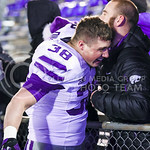 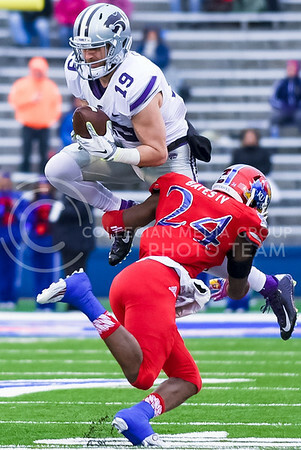 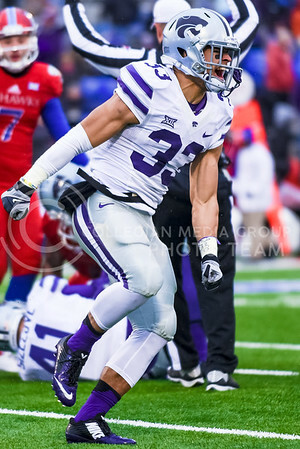 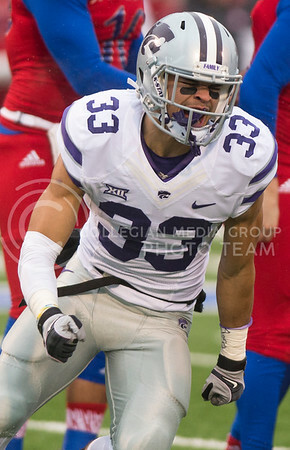 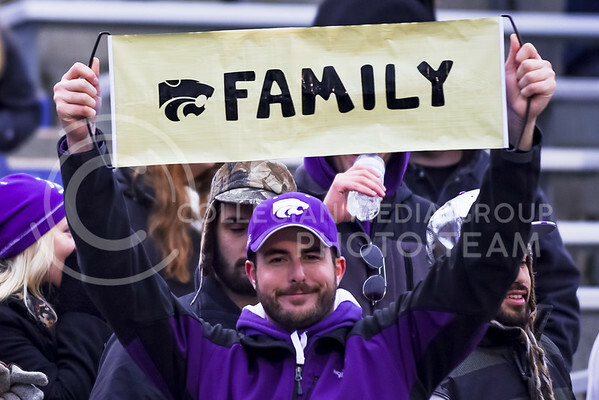 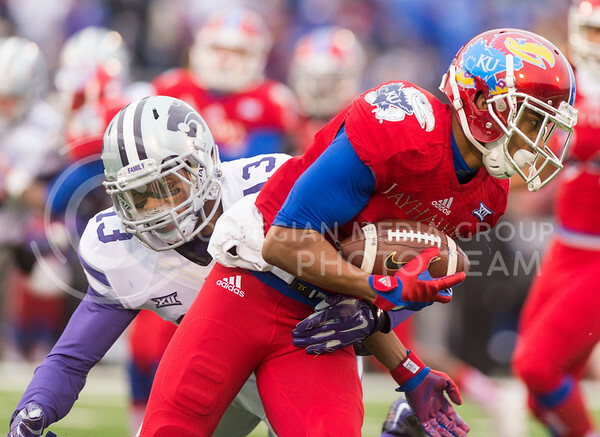 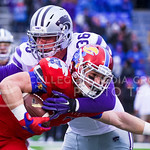 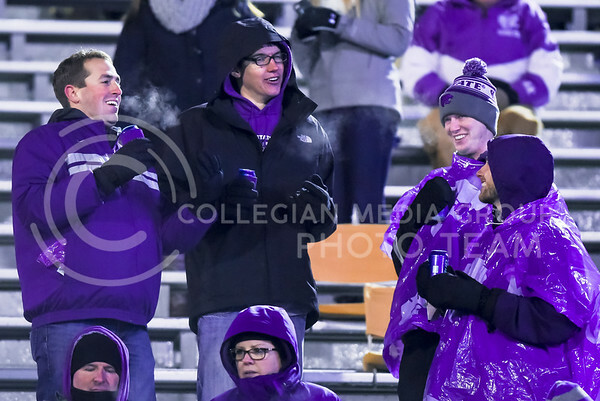 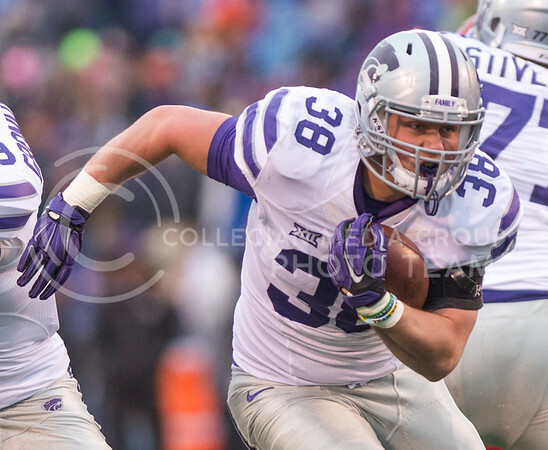 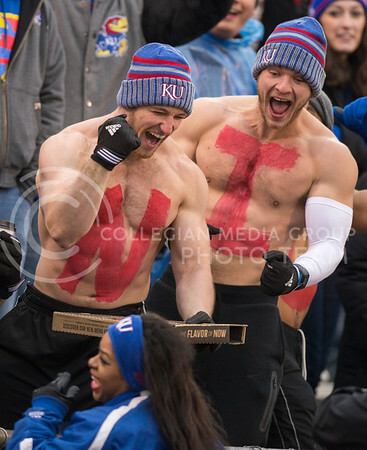 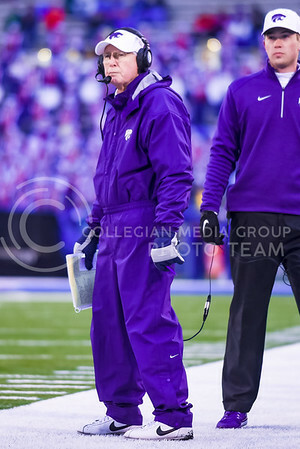 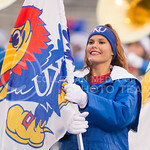 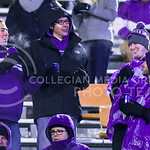 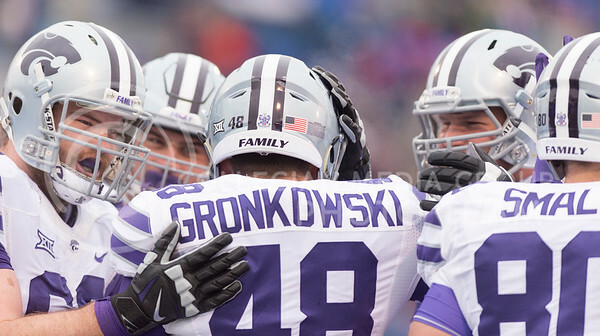 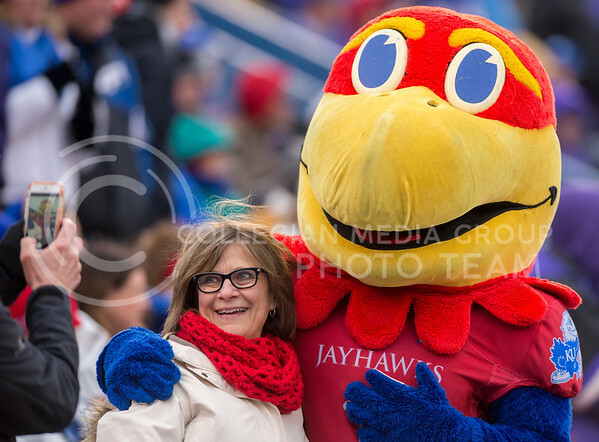 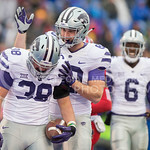 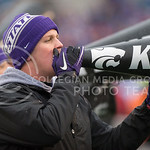 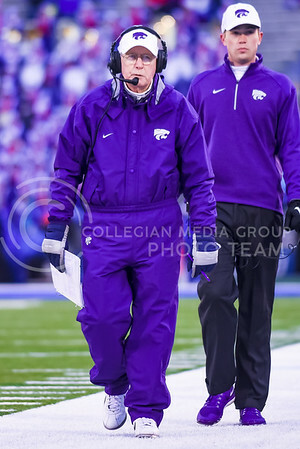 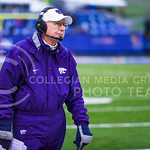 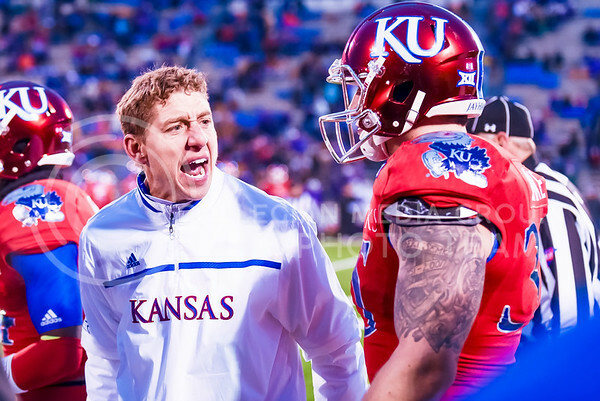 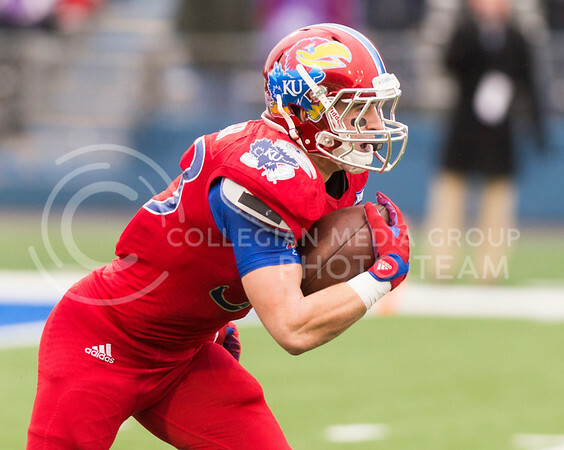 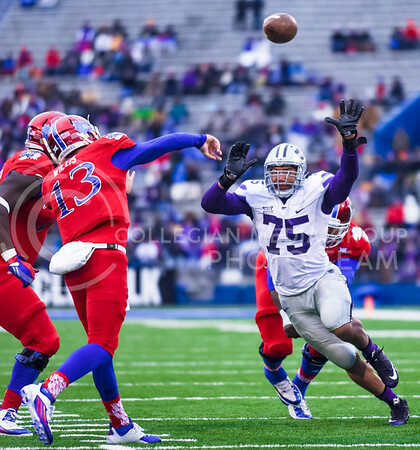 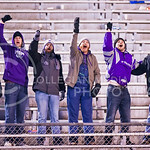 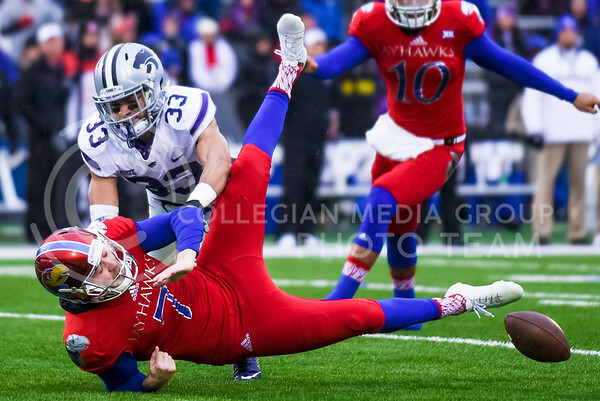 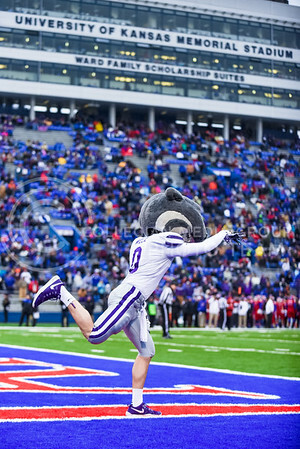 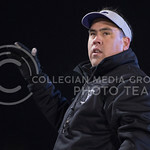 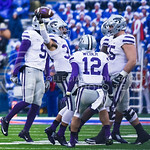 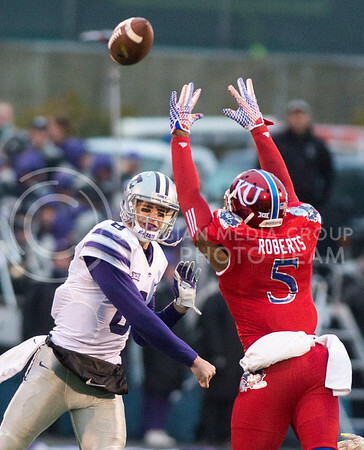 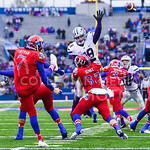 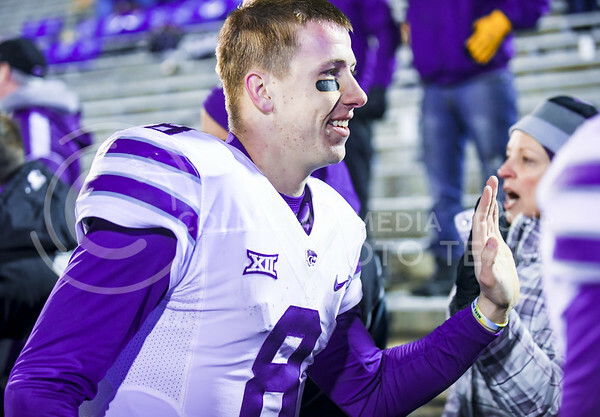 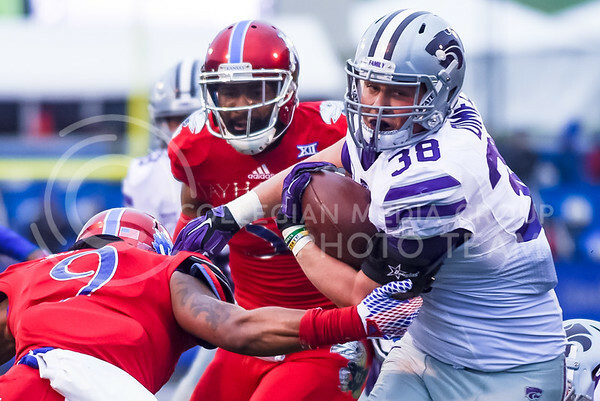 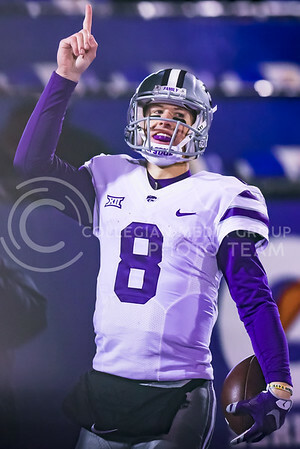 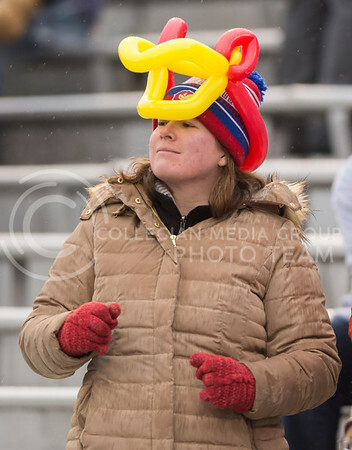 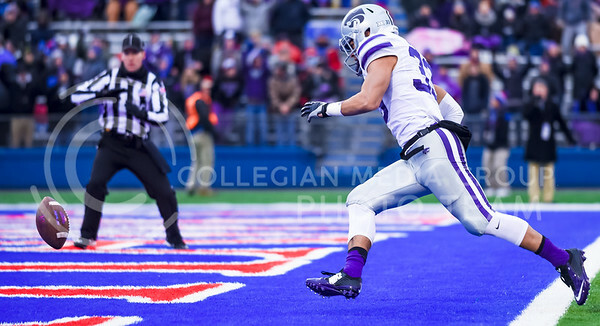 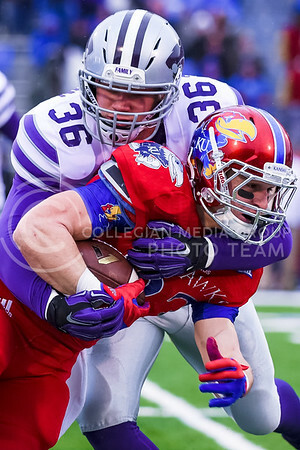 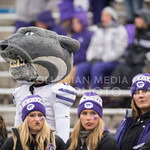 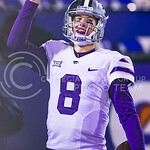 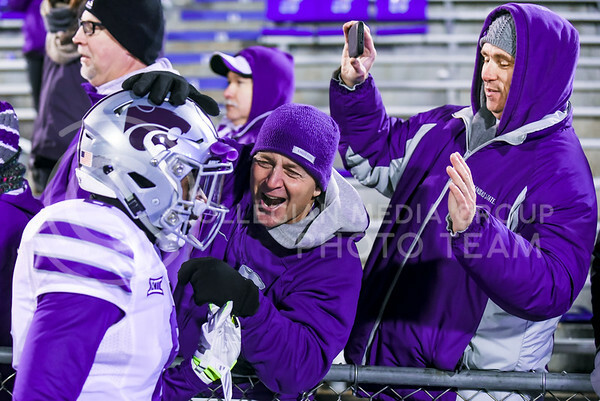 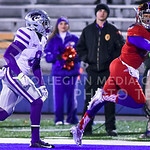 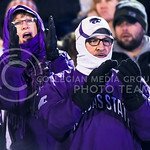 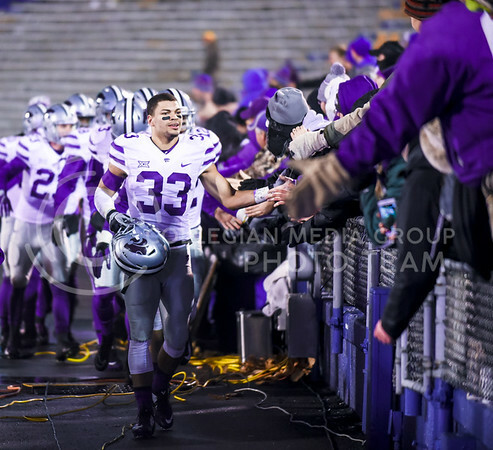 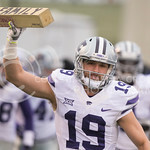 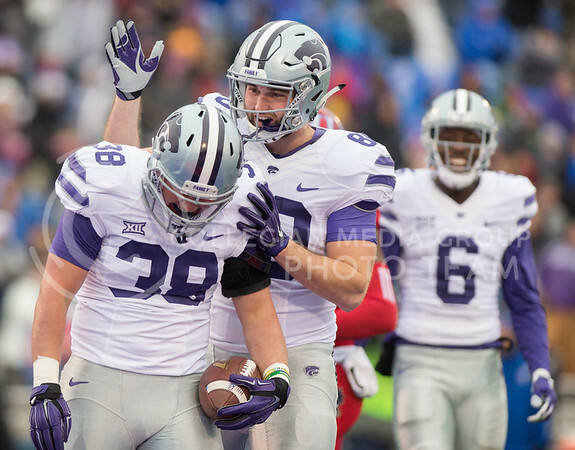 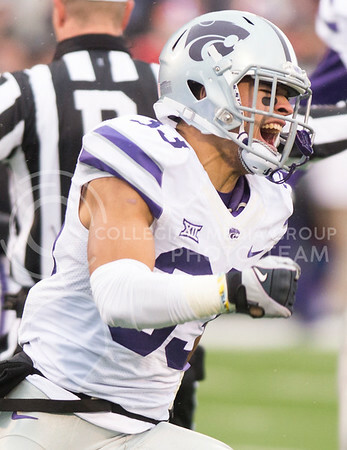 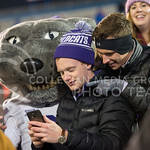 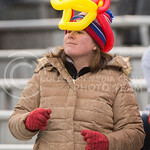 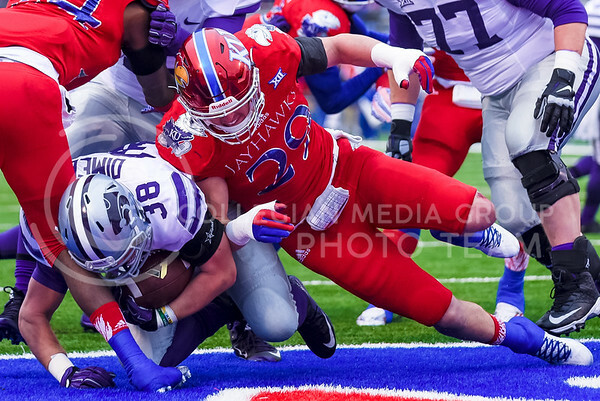 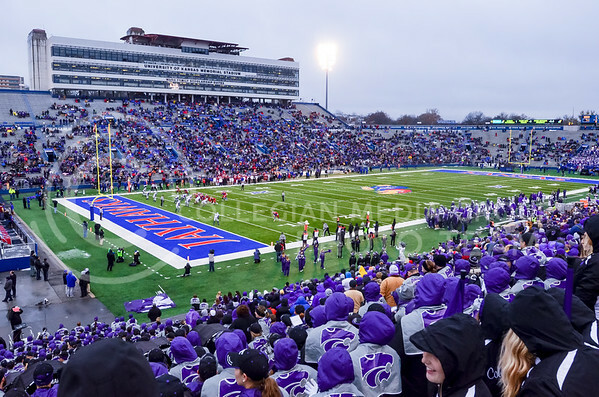 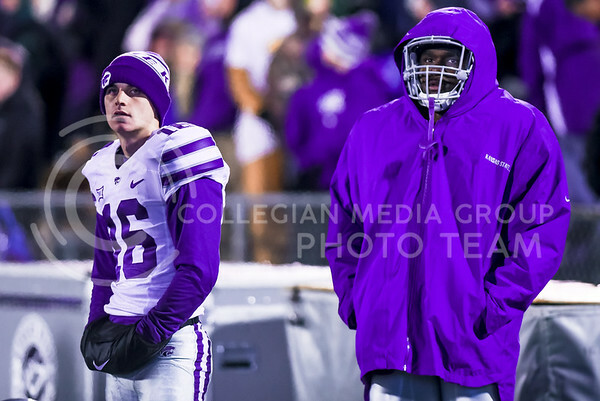 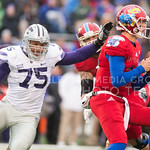 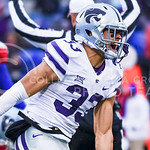 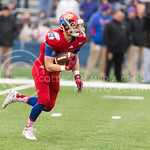 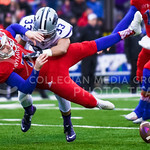 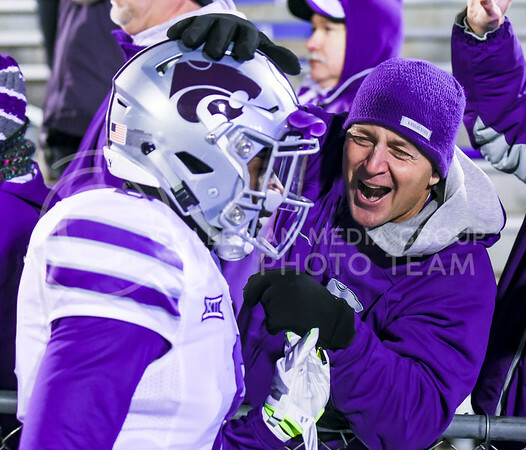 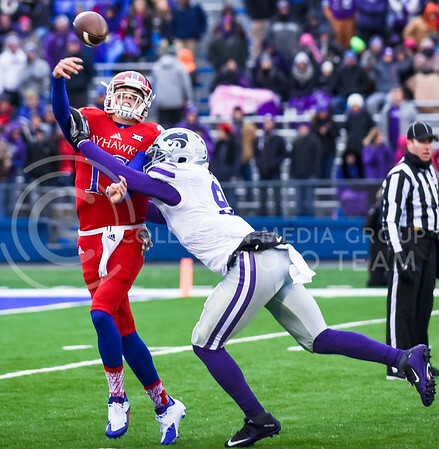 The Wildcat football team won their seventh-straight Sunflower Showdown over intrastate rival Kansas in impressive fashion on a freezing cold, wet Nov. 28 evening in Memorial Stadium in Lawrence, Kansas. 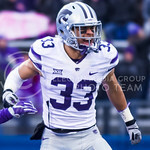 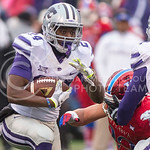 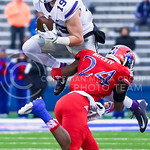 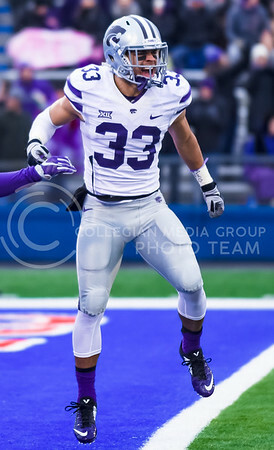 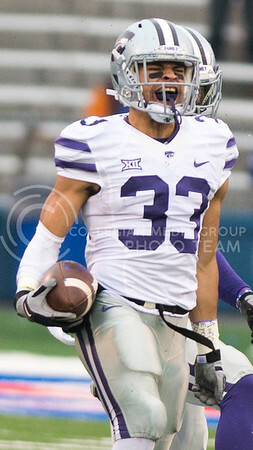 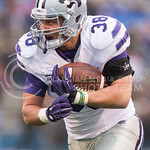 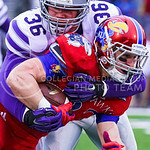 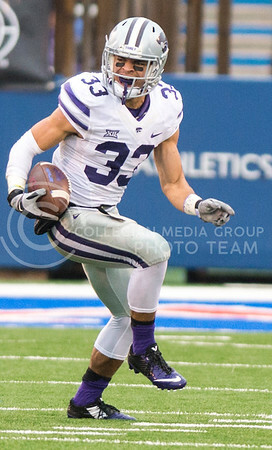 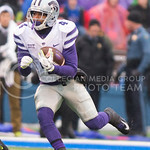 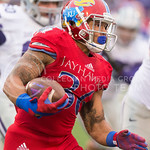 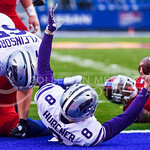 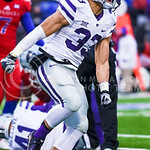 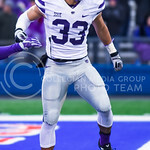 The Wildcats took off right out of the gate, taking a 28-7 lead after the first quarter after senior defensive back Morgan Burns recovered a fumbled punt snap close to the goal line on the Jayhawks’ first possession of the game, allowing K-State to score on their first offensive play, helped block the punt on KU’s next possession and fell on the ball in the endzone for a touchdown, and caught an interception just seconds later. 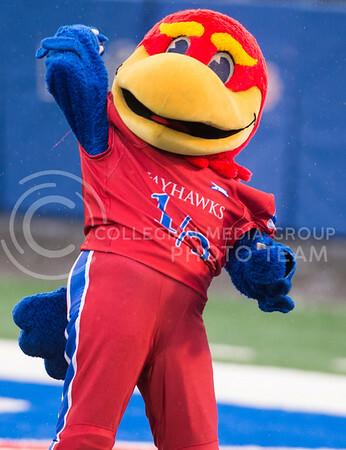 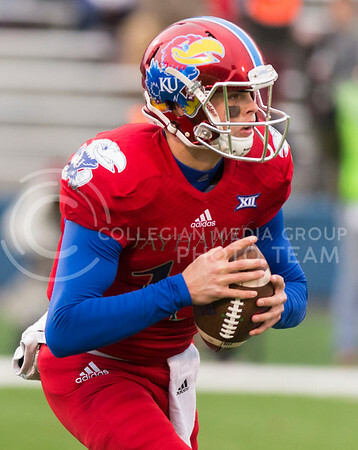 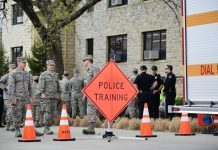 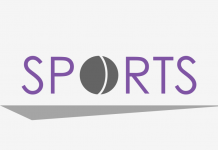 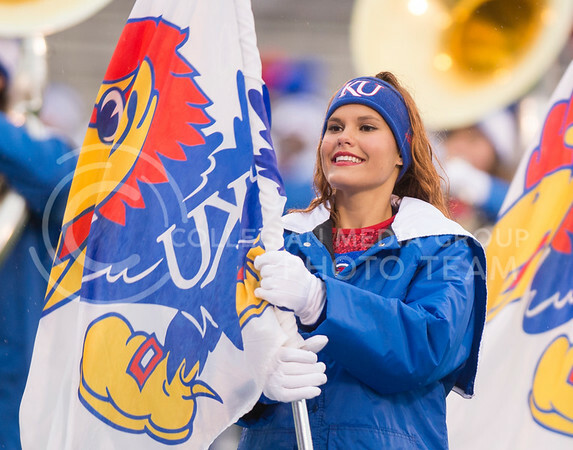 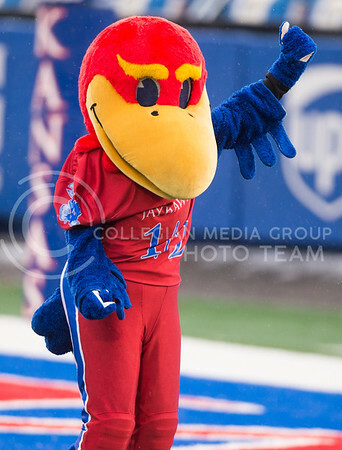 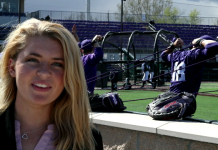 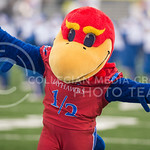 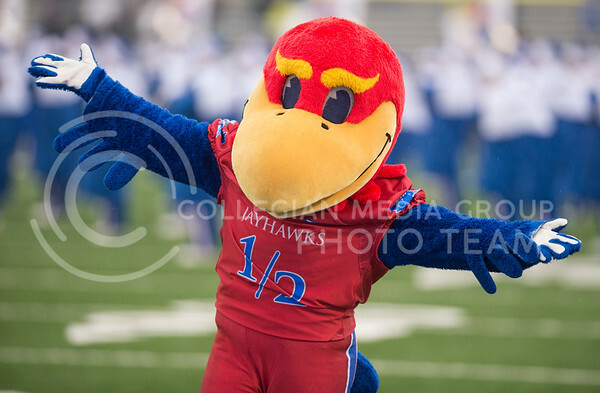 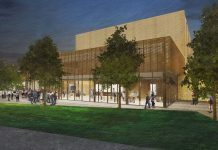 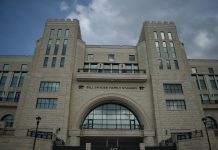 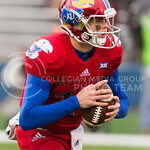 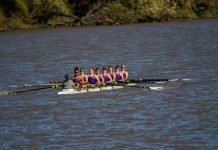 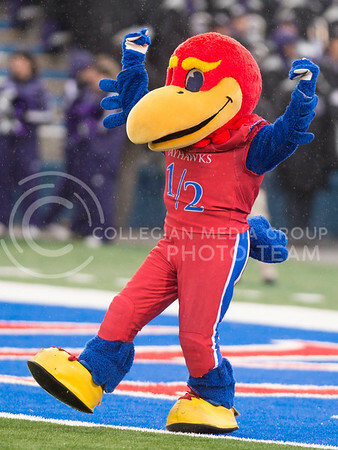 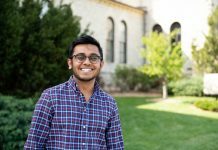 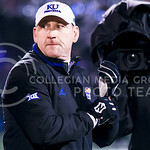 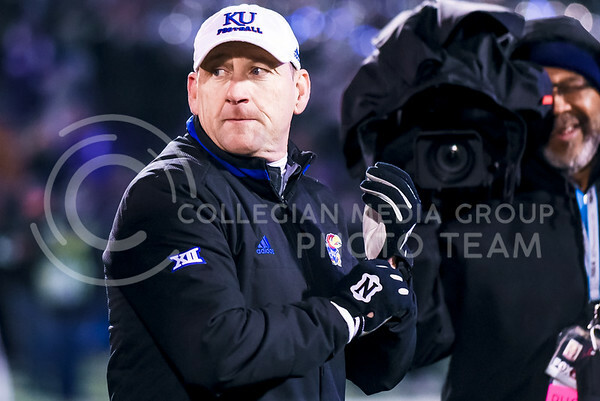 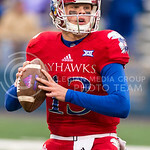 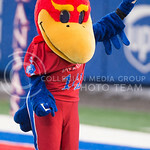 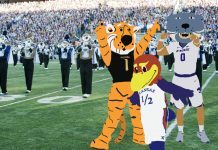 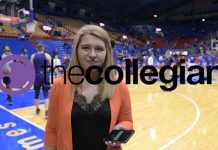 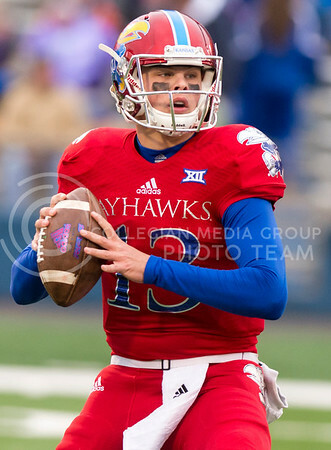 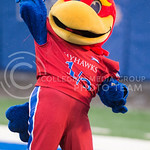 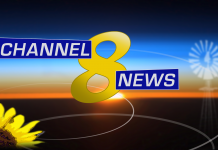 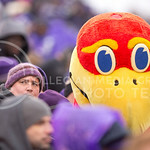 The Jayhawks finished their first season under head coach David Beaty 0-12, their first winless season since 1954 and just the program’s second winless season. 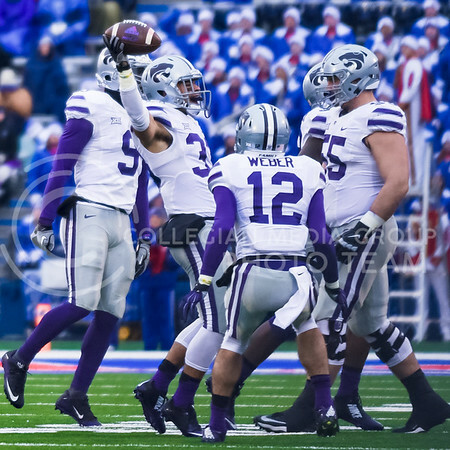 The 5-6 Wildcats are now one step closer to bowl eligibility, looking to clinch in their final game against West Virginia Dec. 5 in Manhattan. 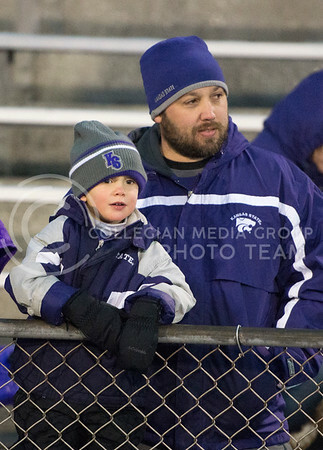 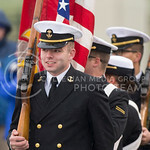 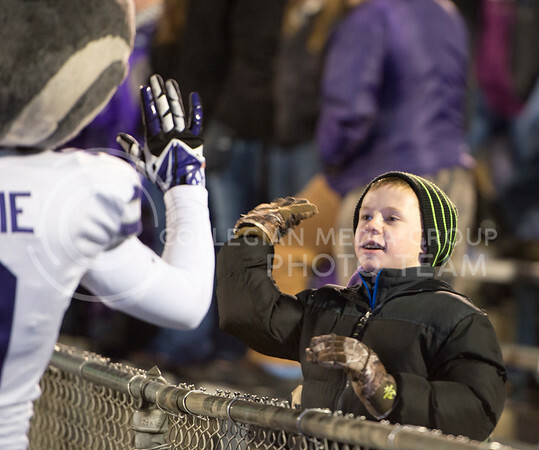 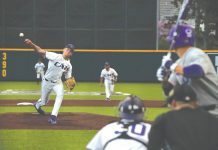 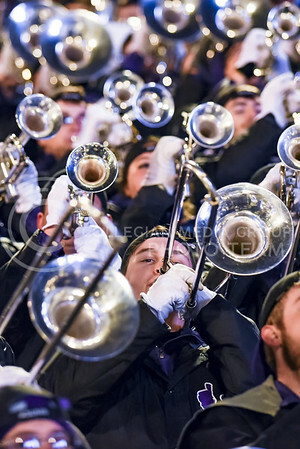 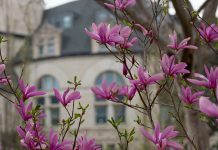 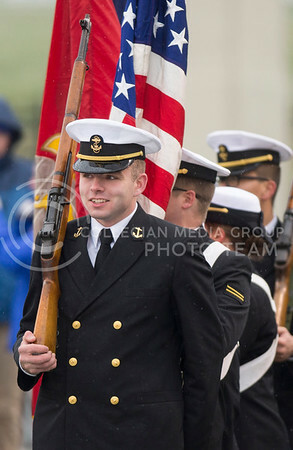 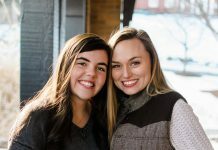 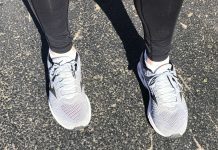 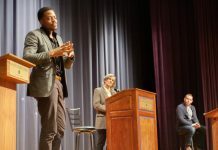 To purchase a photo, click here.